The decision has been made. The waiting begins. 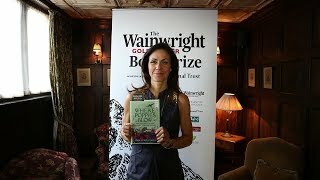 The judging panel – chaired by The Outdoor Guide’s own Julia Bradbury – had made its choice – and the countdown is underway to August 3rd when the winner of the 2017 Wainwright Golden Beer Prize will be announced. It will be glasses raised to the lucky writer, courtesy of Wainwright Golden Beer, sponsors of the competition who have put up the £5,000 first prize. Many people are passionate about travel and the great outdoors in the UK. But only a few have been inspired to write about it and share their experiences with others. In so doing they have followed in the footsteps of Alfred Wainwright. The competition, now in its fourth year and supported by The Wainwright Estate in partnership with The National Trust, was established to reward excellence in writing about the outdoors, nature and UK based travel. The prize will go to the writer whose work best reflects the core values that Wainwright cherished so much. More importantly it must be deemed to successfully emulate AW by inspiring readers to explore the outdoors and nurture a respect for the natural world. TOG went to interview authors who entered to find out what inspired them. The winner will be announced on August 3 at The Countryfile Live Show in The National Trust Arena at Blenheim Palace at 1.45 and TOG will be there to capture the golden moment. Julia – no stranger herself at putting walks into words – admits she is delighted to be chairing the judging panel. 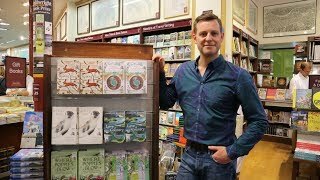 ‘The books that the judges have longlisted and shortlisted capture many different aspects of the natural world and truly reflect the strength and variety of nature writing in the UK today. I have found it immensely thought provoking’, she admitted. 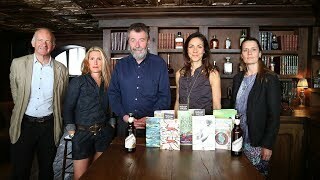 Elsewhere on The Outdoor Guide you will find a wonderful and wide selection of books entered. 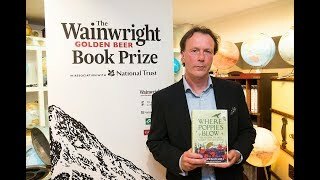 And look out for the Wainwright Golden Beer book prize logo in bookshops, libraries and on-line.